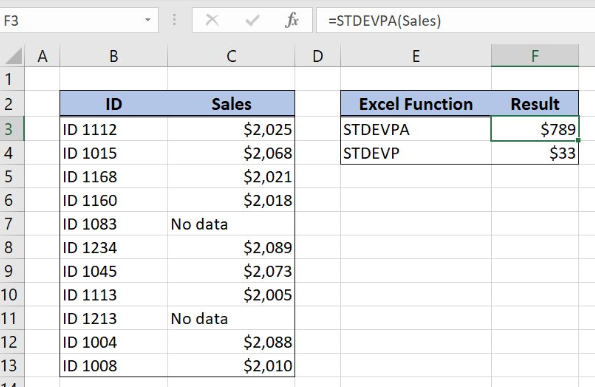 Excel allows us to calculate the standard deviation of the population with Excel STDEVPA Function. Comparing to STDEVP function, STDEVPA function takes into account logical and text values in the calculation. The text is interpreted as 0, TRUE as 1 and FALSE as 0. 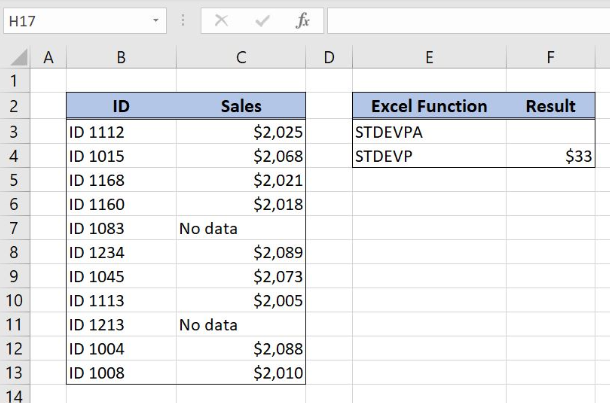 This step by step tutorial will assist all levels of Excel users in getting the standard deviation of the defined data set including text and logical values. 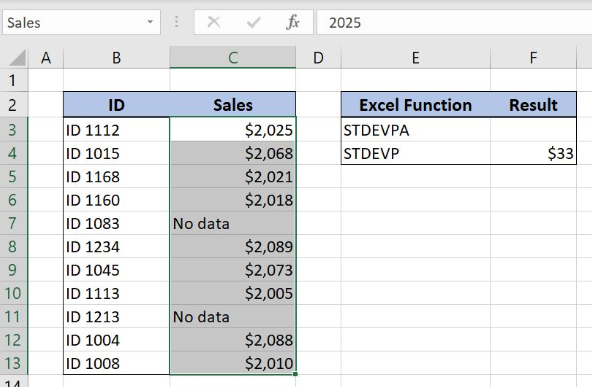 Our first table consists of 2 columns: “ID” (column B) and “Sales” (column C). The second one has the value of standard deviation calculated with STDEVP function and with the result placed in the cell F4. 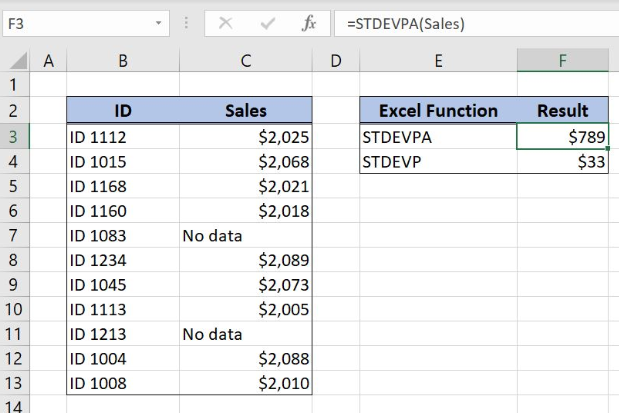 The idea is to get the standard deviation of sales data based on population with STDEVPA function and to place the result in the cell F3. We want to get the standard deviation of the data in the “Sales” column. In order to better explain the formula, we will create a named range Sales for cell range B3:B13. The value1 in the STDEVPA function is the named range Sales. STDEVPA function calculates the standard deviation of the population. This function evaluates logical values and text in the calculation of the standard deviation. In our example text is interpreted as zero and the formula result in the cell F3 is $789. This result means that sales values differ $789 from the mean of the sales data range.